Though they seem worlds apart, Muslims and Latter-day Saints at BYU discover familiar faith and common ground. Three essayists share their experiences of living in each others’ cultures. As my wife and I carefully picked our way up the least icy parts of the steps to the Aspen Grove dining hall, the peculiarity of the moment struck me. There we were, two Latter-day Saints, trudging through the snow on a November evening for a taste of Islamic culture at a Ramadan dinner sponsored by the BYU Arabic Club. 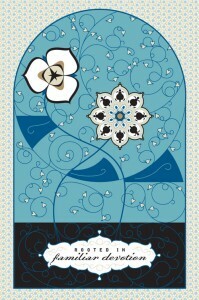 In my mind Ramadan was associated with arid climes, foreign accents, and distant customs. But this setting was so familiar, so close to home. Entering the crowded hall, we were greeted by a distinctive blend of voices, a happy cacophony of Arabic and English. Dressed in Western and Middle Eastern clothes, the crowd chattered heartily as they loaded their plates with food and sat around tables for their fast-ending meal. Knowing little of Islamic customs, I hadn’t been prepared for this boisterous and joyful celebration. During the dinner, Hani Al-Madhoun, ’05, a student from the Gaza Strip and the Arabic Club president, joked and called on people to stand at the microphone and share their feelings about Ramadan and being at BYU. Muslim students told of the fasting, charity, and family traditions that define their memories of Ramadan. Latter-day Saint professors recalled lessons learned while living in Muslim countries during the holy month of Ramadan. As the speakers called out, “Happy Ramadan!” and reminisced, I was reminded of the mixture of joy and homesickness that permeated the Christmas seasons I spent in a distant land as a missionary. Each speaker expressed appreciation for the convergence of Mormon and Muslim cultures at BYU and elsewhere—for lessons learned from people of different faith but similar devotion. Despite the vast geographic distance separating the strongholds of Islam and The Church of Jesus Christ of Latter-day Saints, they had each discovered surprising overlap and understanding in their interactions with one another in this university setting. As the evening passed on, a new sense of kinship grew within me—a realization that the external differences that separate Latter-day Saints and Muslims are less important than the reliance upon faith and the humanity that bind us together in God’s family. For this article BYU Magazine has asked two Muslim students and a Latter-day Saint professor, in effect, to stand at the microphone and tell what they have learned from this convergence of cultures. Nabil S. Sharaf, ’03, and Lina A. Abdallah, ’03, two recent BYU graduates from the West Bank, discuss encountering Mormonism at BYU. Chad F. Emmett, ’82, a BYU geography professor and advisor to the BYU Arabic Club, shares insights gained from living among Muslims. Additional essays can be found at magazine.byu.edu/extras. Some 1,400 years ago Muslims escaping persecution fled to Africa. Upon arrival, they were brought before a Christian African king. The king asked the Muslims why he should allow people from another faith to seek refuge in his land. The Muslims told the king about Islam, which prompted him to say, “You may stay, for the difference between Christianity and your religion is no thicker than this line,” and he drew a line that was as thin as a single hair. During my BYU experience, I developed a great deal of respect for Mormon culture. Every day, the differences between the Latter-day Saint and the Muslim faiths grew thinner in my mind. I was born and raised a Palestinian Muslim. I was taught to live a chaste life and abstain from alcohol and harmful substances. I was raised in a conservative culture that stressed these Islamic values, even though the culture also comprised Christians. Men and women were expected to be modest at all times. While kids in my high school were in style, they were always modest. Things like bars and beer commercials were not acceptable in the Palestinian part of Jerusalem. There were only two liquor stores in town, and patrons had to use the back doors of these stores because the front doors and front blinds were always closed. The advertisement or public display of alcohol is also culturally inappropriate there. I had to come to the United States to see my first beer commercial. Having this background, I was attracted to BYU’s environment. My parents were extremely encouraged by what they had heard about BYU. My parents had quite a few Latter-day Saint friends who were on the faculty or staff of the BYU Jerusalem Center. People in Jerusalem called the Latter-day Saint students living at the center “the well-dressed Americans” because they had found the students to be dressed more modestly than other Americans and foreigners they had seen. When I first came to Provo, I was impressed by how committed most of the students were to living BYU standards. I didn’t have to worry about my roommates drinking or taking drugs; I never had to worry about them when girls came to visit; and I always felt like I could trust my roommates around my possessions. Just like any other freshman, I had too many academic and social concerns to worry about my roommates’ behavior. It was great to come home and feel that I was living in a clean and peaceful environment. Every day I would learn more about BYU culture and the Church of Jesus Christ that would cause me to have more respect for them. Every time I sat down and chatted with roommates or friends, I would feel that we had many things in common. Many of our beliefs about issues like marriage and family, honesty, and tithing were very similar if not the same. The experience that made me feel the closest to this culture came during the month of Ramadan. One of the five pillars of Islam is fasting. Muslims are expected to fast during the lunar month of Ramadan. For about 30 days, Muslims abstain from food, water, and intimate relations from sunrise to sunset. It is a great spiritual experience that teaches Muslims that, if they can abstain from the essentials of life, then they can abstain from the nonessentials, such as harmful substances and bad habits. During Ramadan, Muslims spend most of their time fasting and praying. Some people devote the whole month to worshipping God. Muslims believe that people are the closest they can be to God during that month. A few years ago, on a Sunday during Ramadan, I was taking advantage of my spare time to pray and read my scriptures (the Qur’an) when I noticed that two of my roommates were doing the same. This wasn’t the regular Sunday, when my roommates took a nap after church and watched football for the rest of the night, but rather a more spiritual Sunday. I quickly realized that it was fast Sunday. Later on that day, my roommates and I decided that it would be nice if we could all break our fast together. We spent that evening talking about the similarities between the Muslim and Latter-day Saint fasts. My roommates explained that they always spent their fast Sundays praying and reading scriptures and that these fast Sundays made them feel more spiritual and closer to God. It was the same feeling I had about fasting. I was also surprised to learn of the fast offering, which is very similar to the offerings Muslims make to the poor toward the end of Ramadan. This was the closest a Muslim and Christian could be. It was such a great feeling to know that all three of us were doing the same act of worship, on the same day, in the same spirit, for the same God. Going back to the story of the Muslims and the African king, I can say now that I have never felt stronger about the king’s statement than I feel today, having lived among my friends at BYU. My parents have always encouraged my siblings and me to pursue our dreams and obtain the highest educational degrees possible. However, being the conservative and protective parents they are, they have always been suspicious of the idea of us going abroad for our education. In the Arab world, most people do not hold great respect for the “Western Civilization” in the United States, which has always been distorted by television images and Hollywood movies, with intense portrayals of crime, gambling, adultery, alcohol consumption, and other social problems. When it came time for college, I went to Birzeit University in the West Bank for four years and lived with my family. While I was studying business administration in college, Omar Kader, a former faculty member in the Marriott School of Management, told me about BYU. I had expressed my interest in a graduate degree in public administration to him, and he urged me to visit the Jerusalem Center to learn more about BYU. I was awarded a BYU Jerusalem Center scholarship and planned to move to Provo in fall 2001. Before leaving, I had many sleepless nights thinking about whether I would be able to make friends at BYU. Because I wear a head cover, I was also concerned about how people would look at my dress and interpret my religious behavior. I thought a lot about whether we would be able to overcome those differences. Contrary to my concerns, I was able to develop many strong friendships at BYU. My first impression about the people here was how friendly and helpful they were. I enjoyed the cheerful faces and the common “hello” greeting from strangers. People took the initiative to approach me with their friendship and assistance. I was confused for a few minutes as to which club I should have been a member of, not knowing that they were actually asking if I were a member of the Church of Jesus Christ. I soon developed many friends who explained to me the things I did not understand about Mormon culture. Thanks to them, by the end of my time at BYU I was hardly ever confused by the religious terminology. Even before I decided to come to BYU, most of the things I had learned about living among Latter-day Saints were positive. Being a church-sponsored university, BYU has distinguished itself among prominent U.S. educational institutions for its ethical code and its moral commitment to serving religion and society. Being a faithful person, I realized that this would be a good environment not only to get an academic experience but to stay in touch with my spiritual aspirations. I thought to myself about how honorable it would be to be an alumnus of a university that values moral character and integrity in its education as much as it values the academic achievement. Because of their strongly held beliefs, Latter-day Saints tend to respect people of other faiths who live according to their own religion. The Church’s missionary program also supports an open, tolerant, and loving culture. Latter-day Saints—male and female—travel all over the world to spread the word about their religion. And those students bring back perspectives about living with people of numerous ethnic and religious backgrounds and different tongues. It was easy to discuss numerous religious and political issues at BYU. Even when people disagreed with me, they expressed great respect for my viewpoint. BYU is probably one of the most tolerant campuses in the United States, regardless of what some people may think. I say this as a reflection of my experience after Sept. 11. I heard horrible stories about Arab and Muslim students being harassed on campuses almost everywhere in the United States. The stories about stereotypes and hate crimes in other places distressed me for a while. Of course, what made things worse for me was that I wear a head cover, which distinguishes me as a Muslim. I remember being afraid to go anywhere off campus for more than a month. 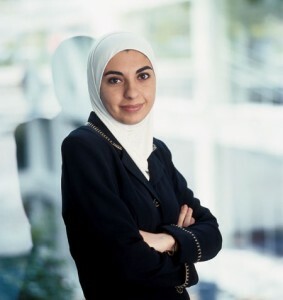 However, unlike the experiences of many Arab and Muslim students elsewhere, I found only support and encouragement from the students and faculty members at BYU. I never felt that I had been looked at differently because of my beliefs or my dress. I felt respect and admiration from the students and professors in my program and from my Latter-day Saint friends because I believe strongly in my faith. Living among Mormons was a wonderful experience. I always joke with my family that flying from Palestine to Provo, I did not have culture shock, but when I flew to other U.S. cities, I did. I grew up in a large home with five siblings in Logan, Utah. My mom was committed to having family prayer each morning. She did not, however, like having to repeatedly trudge downstairs to the far corner of the house to wake four sleeping boys. In support of my mom’s faithfulness, my dad installed an intercom between the upstairs kitchen and the downstairs hallway to the bedrooms. I still remember the morning after the installation, when we were all awakened from slumber with Mom’s voice, amplified by the intercom, shouting, “Family prayer! Five minutes!” That morning call to prayer was a regular part of my teenage years. My next experience with a call to prayer was halfway around the world in the middle of the largest Islamic country in the world. I arrived in the coastal town of Semarang, Indonesia—my first missionary city—at 3 a.m. on a night train from Jakarta in November 1975. From my top bunk in the missionary apartment/branch house, I finished saying my bedtime prayers at about 4 a.m. I had just lain down for a few hours of sleep when I heard, “Allahu Akbar!” (God is most great!) bellowing through the muggy predawn of the city. Startled, I sat up in bed wondering if I was having an angelic visitation. I had never heard such a thing (although Mom on the intercom was pretty close). Semarang’s main mosque was just 200 meters down the street, and, with the help of loudspeakers, the muezzin was calling the Muslim faithful to dawn prayer. My introduction to Islam was off to a surprising start. Five times a day for nearly two years I heard the call to prayer. It became something familiar and comforting. I didn’t know many of the Arabic words, but that didn’t matter. All I needed to know was that Muslims were being reminded to pray to God, Allah. I also came to realize that it didn’t matter where they prayed. I have seen Indonesian Muslims prostrating themselves in prayer in the aisles of trains at dawn, on the forest floor of Borneo, in the vastness of Jakarta’s white-domed national mosque, and, at the end of the fasting month of Ramadan, in large crowds under the expansive canopy of saman trees in city parks and on the playing field of a soccer stadium. Twelve years later I lived in the Arab city of Nazareth in northern Israel for a year. From my hilltop apartment on the northern edge of town, I could look down into the central city and see three of the city’s seven mosques. I could hear even more. When it was time to pray, one mosque’s muezzin would start the call to prayer and then another and another—as if it were an echo bouncing off Nazareth’s hills or in some new form of quadraphonic sound. As one who prefers to rise and pray later than the first light of dawn, I have to admit that I was glad that the mosques were more distant and thus more muted than the mosque in Semarang. Nonetheless, I was glad to be hearing the call to prayer. It was still comforting after a long absence. The call to prayer reminds me that I should, as the Qu’ran admonishes, “be steadfast in prayer” (Sura 2, verse 110). It also reminds me that prayer is something required of all God’s children, no matter what their language or religion. When Muslims around the world pray, they pray to Allah, the Arabic word for God and a Semitic word similar to Eloh, the Hebrew word for God (Elohim is the plural form). When members of the Church of Jesus Christ pray in Indonesian, they too pray to Allah: the sacrament prayer begins, “Ya Allah, Bapak yang kekal” (O God, the Eternal Father), and primary children prayerfully sing “Aku Anak Allah” (I Am a Child of God). As my wife and I now gather our two young children for morning prayer, I am grateful to have lived in many different places and among many different peoples who have taught me the importance of regular prayer. I hope that I might pass on that call to prayer so that my children might also know that God, who is great, hears our calls, our cries, our prayers. Additional essays: Just Like Us, by Ghaleb A. Husseini, ’95, and Fostering Friendship, by John P. Livingstone, ’86, below. For me, perhaps the most exciting part of teaching at BYU has been Religion 100, Introduction to Mormonism. My job in Religion 100 is to prepare students who are not Latter-day Saints for their religion classes at BYU by giving them an overview of what Latter-day Saints believe and how they usually behave. Most class members take the course during their first semester at BYU, hardly realizing the nature of the community they have joined. Over time they become familiar with the culture of serious study, serious dating, and serious devotion at Brigham Young University. As I taught my first Religion 100 class in the fall of 1998, it became clear that several of my students came from Islamic countries. Everyone was a little shy for the first few sessions, but soon students became more comfortable and asked questions about their new roommates and why they did what they did and thought how they thought. “My roommate just became engaged to a girl he has known for only three months!” one exclaimed. “And they get married so young,” answered another. The smiles on their faces communicated considerable amusement with the Latter-day Saint students. The first half of the course is focused on “the gospel” and the second half on “the Church.” The beliefs that all inhabitants of the world are spirit children of Heavenly Parents and that we may become like Them is astonishing for most Muslim students. I discovered that the worst epithets in Arabic are reserved for those who believe that someone can become like God. Divine destiny is, for them, a spiritually mind-blowing principle. As we discuss the dispensing of gospel truths and priesthood authority down through the ages, they hear such familiar names as Adam, Enoch, Noah, Abraham, Moses,and Jesus. Islamic students usually ask whether Latter-day Saints believe that the great Muslim prophet Mohammed was a prophet of God. The statement of the First Presidency on Feb. 15, 1978, is very helpful, stating, “The great religious leaders of the world such as Mohammed, Confucius, and the Reformers, as well as philosophers including Socrates, Plato, and others, received a portion of God’s light. Moral truths were given to them by God to enlighten whole nations and to bring a higher level of understanding to individuals” (qtd. in Spencer J. Palmer, “World Religions (Non-Christian) and Mormonism,” in Daniel H. Ludlow, ed., Encyclopedia of Mormonism, 4 vols. [New York: Macmillan, 1992], p. 1589). Humor has always been important to me as a teacher, and the way my Muslim students can see the funny side of issues and laugh so heartily and freely is delightful. Several students stand out in my memory as simply fun people who take religion seriously without taking seriousness religiously. 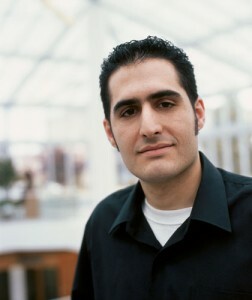 One of these is Hani Al-Madhoun, ’05, the 2002–03 president of the Arabic club. His humor and self-deprecating style made him fun to have in the class, and he was a regular contributor through questions and comments. He was a serious thinker, although his humor always softened his diligent inquiries. I was happy to see him register for my spring Doctrine and Covenants class, but I was surprised to see him later in my missionary preparation class, Sharing the Gospel. I told him we would try to make him an amazing Islamic missionary! He dove right in and participated with the students in their “district” meetings and even gave one of the scripture highlights at the beginning of class one day. He did a wonderful job, and the other students loved it. He volunteered one night at the MTC, fielding phone calls from around the continent from people calling in on the Church’s “1-800” commercial offerings. His willingness to participate in class and tackle unusual activities without compromising his own beliefs and religious standards impressed everybody. In a way, Hani has become a wonderful missionary for Islam among his fellow students, building bridges of understanding. 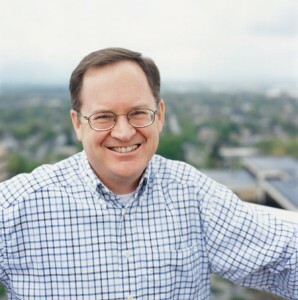 Latter-day Saint students feel free to talk to him and ask questions about the Muslim world that they would likely not take opportunity to ask otherwise. After Sept. 11, 2001, many Muslim students were subdued and cautious. One student told me about an uncle being accosted and abused in New York City. I asked how he and the other Muslim students were faring here on the BYU campus. He mentioned that his parents had suggested he avoid being in public and that many Muslim students had stayed home from classes and out of public view for a few days. But he said he felt entirely safe here and that none of his friends had reported problems. It seemed to me that these fears lasted only days, not weeks. Several Muslim students expressed their personal relief at not having to face angry Americans bent on taking revenge. It was as if the campus and surrounding cities became a cocoon of safety wherein they were not perceived as coconspirators with radical fundamentalists. One student commented that Friday noon prayers in a third-floor Wilkinson Student Center classroom—which doubled as their mosque—were more earnest, resulting in an even closer bond among Islamic BYU students in the weeks following Sept. 11. I am making wonderful friends from the Islamic world. So is BYU and the Church of Jesus Christ. In November 2002 I was asked to say a few words at the “break-fast” dinner one Friday night at the end of Ramadan, the annual fasting month for Muslims. The Arabic Club had reserved the main lodge at Aspen Grove for the event, and the dining area was full of Muslim students as well as local Muslim families and friends. I was touched by their open and friendly visiting and chatter. It was much more like a Latter-day Saint ward gathering than I would have imagined. My current and former students gave a happy cheer as I stood to speak, making me feel honored and welcomed. I felt that anyone looking in on that gathering would have seen Muslims as they should be seen—friendly, caring, and comfortably assembling together and sharing in their religious activities. Speakers from the club leaders reflected about what they missed being away from home at this special occasion. It reminded my wife and me of being on a mission at Christmas. Their comments about what their families did to help the poor during Ramadan also made us realize how many aspects of fasting are similar between our faiths. My Islamic students often invite me to visit them when I travel again to the Middle East, and I suspect I will. Such friendship and familiarity dissolve stereotypes that divide and separate cultures and religions. The vast majority of these students leave BYU with fondness for Latter-day Saints and the Church in general. And their Latter-day Saint friends at BYU leave with a great love for these wonderful followers of Islam. No longer can they be misled in their thinking about Muslims by mainstream media bent on highlighting the sensational and the impersonal. They have lived and studied and sang and danced and laughed and cried with student representatives of a great culture and religion that is usually half a world away geographically and culturally. But now they have fostered friendships, and—with a common devotion, in spite of uncommon doctrines—they will remember each other and their BYU experience forever. He explained that BYU students dress modestly, very differently from other tourists who visit the Holy City. He also said they are careful and respectful when dealing with the inhabitants of the city; they show admiration for Arabic culture and for the family values presented in that culture. I came to BYU in 1992, when I was 16 years old. I received a bachelor’s in chemical engineering in 1995, and I chose to stay for a master’s degree (1997) and a PhD (2001). 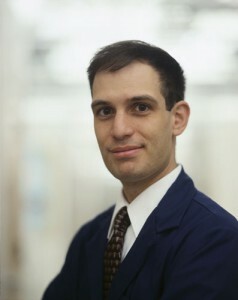 I recently concluded a post-doctoral assistantship in BYU’s Department of Chemistry and Biochemistry. My younger sister Shaden also received bachelor’s and master’s degrees from BYU. Although both of us could have pursued degrees at other universities, we decided to remain at BYU because we were treated extremely well. As Muslims attending a religious school in a foreign country, we never felt threatened or discriminated against because of our faith. My high school friends who attended other schools in the United States complained to me about how unsafe their schools were and about drug and alcohol use. My BYU experience was very different. Despite the difference in my religion, culture, and language, I felt very comfortable with the students who lived on my floor in Deseret Towers during my freshman year. I was able to make great friends at BYU from the beginning. My experience got even better when I lived in the Arabic House as a resident assistant. I was able to teach my roommates and many other students who lived in the Foreign Language Student Residence about my religion and culture. The Arabic House experience also helped me gain a deeper understanding of how Latter-day Saints live their daily lives and how their religion is reflected in their practices. I discovered that Mormons and Muslims share many similarities. Both cultures have strong family values, regard their religion as central to their lives, and live according to the love and respect of God or Allah. I also noticed that, similar to Arabic culture, most Latter-day Saints go the extra mile to help anyone in need. As Arabs and Muslims, we pride ourselves in being very generous, and I found this trait among my Mormon friends. For example, when my parents came for my master’s and PhD graduations, several friends offered to host them. The parents of one of my friends arranged for my family to visit Temple Square and meet with President James E. Faust of the First Presidency of the Church of Jesus Christ. On the same tour, we had dinner in the Lion House and visited welfare facilities. My family was particularly impressed with the idea behind Deseret Industries and how it was helping the poor. After his trip, my father commented that he felt very welcome in Provo and was very glad that his son and daughter were able to pursue their educations at BYU. He was so content with his decision to send us here that he decided to send another of my sisters, Rand, who is planning to attend BYU this fall. My youngest sister, Majd, hopes to attend BYU when she graduates from high school. In the future, I plan on sending my children to BYU, so that they can be exposed to experiences similar to mine. The similarities between Latter-day Saints and Muslims extend beyond behavior and attire. My LDS friends have commented on how they admire that Muslims pray five times a day and how they themselves try to pray in the morning when they wake up, before every meal, and at night before going to bed. One of my Latter-day Saint friends also commented that one of the nicest feelings he had at BYU came from saying his prayers in the morning while his Muslim roommate (a Palestinian from Gaza) was kneeling in his morning (faj’r) prayer. While Latter-day Saints fast once a month for 24 hours, Muslims fast from sunrise to sunset for a whole month. In 1996 some of my friends in the Arabic House wanted to experience Ramadan, the Muslim holy month of fasting. They fasted with me for most of the month. They also tried to read their scriptures more frequently during that month because Muslims concentrate on reading the Qu’ran during Ramadan. They later told me that Ramadan taught them patience, encouraged charity, and gave them more time to worship and strengthen their relationships with God. They also told me they had a similar feeling when they practiced their own fast. During my time at BYU, I had the opportunity to speak in a sacrament meeting. I was asked to explain general Muslim teachings and to discuss the five pillars of Islam. The talk was well received, and several members of the ward mentioned how they had a great deal of respect for Islam and Muslims. Others were interested in learning more about the similarities between both religions. Several ward members thanked me for attending BYU and told me that I had changed their impression of Islam—an image that is usually shaped by sensationalist American media. One of my LDS friends once jokingly asked me where I was going to serve my mission. He laughed, but I strongly believe that my mission was to come to BYU to teach Latter-day Saints about my culture and religion and to learn about the beliefs and culture of Latter-day Saints so I could then teach Arabs and Muslims in return.